“It’s hilarious,” the British actress told the Belfast Telegraph earlier this week in regards to the Oscars nominating controversy. In January, the controversy was renewed after the Academy announced its acting nominations included no people of color for a second straight year. “It’s no change there. It’s not as if it’s ever been awash with people of color. Let’s face it, the Oscar membership is mainly old, white men,” Thompson noted of the issue of diversity within the Academy’s membership. The Academy’s voting rules and membership structure have been updated in the wake of the controversy in an effort to ensure more diversity among Oscars nominees in the future. The membership changes will eventually remove voting privileges from many older, white Academy members; however, Thompson feels the process of purging the older white people could be expedited. “That’s the fact of it. Either you wait for them all to die, or kill them off slowly. There’s so many options, aren’t there?” she said. Thompson then noted the Screen Actors Guild (SAG) is taking active measures to ensure its membership is more reflective of diversity. 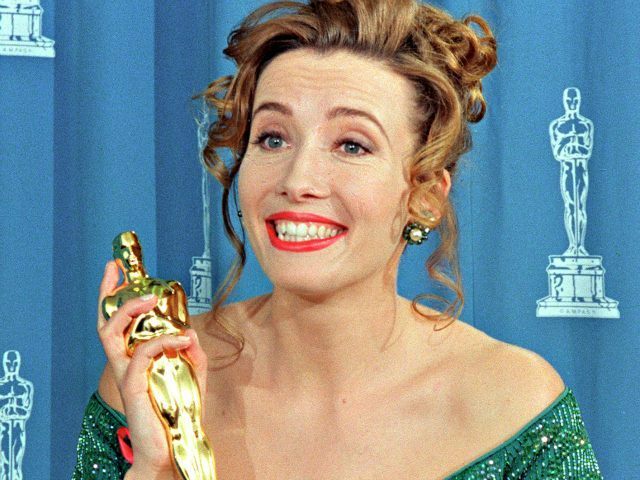 The actress, who won Oscars for her roles in films Howards End (1992) and Sense and Sensibility (1996), previously described the British public as “racist” for its response to Europe’s migrant crisis.